The Dolomites are a mountain range in the northern Italian Alps with eighteen peaks that rise to more than 3,000 meters and cover an area of 141,903 hectares. The Dolomites have some of the most beautiful alpine landscapes in the world with sheer cliffs, vertical walls, narrow, long valleys, glaciers, mountain passes, pinnacles, steeples, and a rich diversity of alpine plants that thrive in this environment. Declared a UNESCO Natural World Heritage Site, the Dolomite Mountains are known for their spectacular sharp outlines, the mesmerizing colors of their cliffs at sunset, and the tranquil beauty of the wildflower-covered meadows. Val Gardena is a valley in Northern Italy in the Dolomites mountains best known for great skiing, rock climbing, and woodcarving. 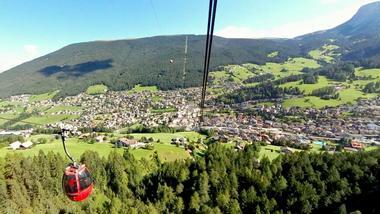 There are three main villages that are the center of the valley life: Ortisei, Selva Val Gardena, and St. Christina. Woodcarving has long been a pastime of farmers during long winter days. Since most of the carved figurines in the past were of religious themes, they became a major export to churches all over the world starting around the 17th century. Today, woodcarving is still a big local industry. The Val Gardena valley is famous worldwide for winter sports; it has been home to the men’s World Cup downhill race since 1969 and a number of other international ski events. There are several ski resorts, and the whole valley is a popular winter as well as summer vacation spot –ski circuits like Sella Ronda serve as a perfect biking route in the summer, and the mountains are perfect for rock climbing when the snow melts. 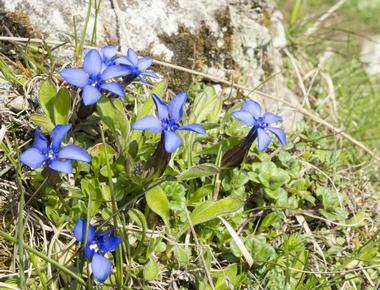 At 1500 meters above the sea on Monte Bondone on the Viotte Plateau overlooking the city of Trento is a rare Alpine Botanic Garden with more than 1,000 species of plants from the mountainous regions of the world. Spread across ten acres, the garden was originally established in 1938, severely damaged in World War II, and meticulously renewed in 1958. Plants are grouped by areas of origin such as Alps, the Himalayas, or the Caucasus Mountains, among others. Naturally Alpine plants take precedence, especially since the lush meadows of Viotte are naturally covered with wild Alpine flowers and herbs, have excellent southern exposure, and plenty of water from the nearby bog. Many plants are endemic to the region. Located in the heart of the Cansiglio plateau, Cansiglio Botanic Garden is an alpine garden established in 1972 by the Padua professor Lorenzoni. The garden has about 700 plant species living in the pre-Alps and three hundred plant species native to the Cansiglio-Cavallo area. They are mostly organized into specific environments. About one and a half hectares of space provides home to collections of plants living in forests, shrubwoods, fields, pastures, or in rocky snow valleys. There are also two peat bogs and a lama, a habitat for many species of amphibians and insects. There is also a small collection of medicinal plants. The garden is a beautiful place to visit and enjoy. It is a great source of information for kids’ education, but it is also a place where plants are preserved and studied, especially those in danger of extinction. Covered with stately pines, Ciampinoi Mountain is located south of Selva Gardena near the majestic Dolomites peak Sassolungo. 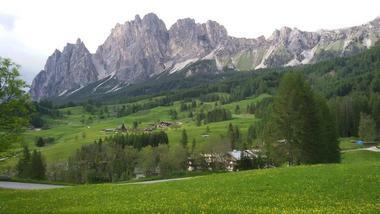 From the bottom of the valley, visitors can see the Odle, Cir, Sciliar, and Sella peaks and even some Austrian mountains in the distance. Ciampinoi ski runs have been popular since the 1930s, especially since the 1970 Alpine Skiing World Championship. The ski slopes and lifts of Ciampinoi are connected to the Sella Ronda ski circuit, allowing skiers to enjoy all four valleys around the magnificent Sella Group. There is a nice restaurant at the top Ciampinoi gondola station with a bar, restaurant, and beautiful terraces with breathtaking views. Civettais amountainin theDolomites range, a part of the Belluno province, providing a beautiful background for the quaint village of Alleghe. The mountain is known as “the wall of walls” among mountain climbers and more poetically “the most beautiful rock wall in the Alps” by the Italian writer Dino Buzzati. The reason for the name is the almost vertical cliff four kilometers long between Cima Su Alto and the Torre Coldai at 2,600 m, dropping 1000 meters to the valley bottom. While very popular among mountaineers, it is considered quite difficult. “Civetta” means “owl,” but it is not clear how the mountain got that name. There are some legends about the mountain being cursed, and in Italy the owl is often linked with bad fate. 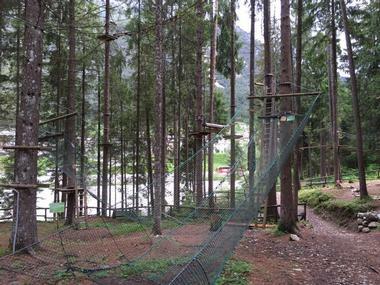 Civetta Adventure Park is an amusement and adventure park in Alleghe in Belluno province built high up in the trees in the magnificent forest of the Dolomite Mountain. The trees are connected by wooden walkways, suspension bridges and lianas, and form four routes, four obstacle course with varying degree of difficulty. It is a great combination of exercise, adventure, and time in the forest in fresh air. Kids love every moment of it, starting with a briefing and demo to learn about how to use the harness and helmet. They are under constant supervision and completely safe but can still feel like a young Indiana Jones. Dolfi Land is a magical place filled with exquisitely carved pieces that are decorative, useful, seasonal, and ultimately beautiful. Located in Val Gardena where the entire valley has a centuries long tradition in wood carving, Dolfi has a beautiful showroom and is the only theme park in the world dedicated to wood carving. It is a giant showroom with 60,000 painstakingly carved wooden figurines that showcase Dolfi company’s 120-year-long history. There is a museum, a terrace, and a lounge where visitors can relax and have a warm drink. Dolfi Land showroom is filled with light and has large windows and exhibits presented in mountain huts that form a village. The whole scene changes with the seasons. The place is fun to explore and admire, and you can find a few really beautiful souvenirs. Dolomite Treks, located in the Eastern Dolomites north-east of Venice surrounded by the towns of Pieve di Cadore, Auronzo di Cadore, and Cortina d’Ampezzo, organize exciting walking, hiking, and trekking trips in the Dolomites. 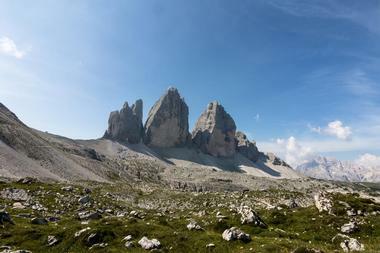 Their excursions range from the day trips that last four hours such as a classic circle around the Tres Cime peaks to a week long excursion of the Dolomites from Pusteria valley to Cortina d’Ampezzo where you will hike for eight hours every day on high mountain paths through ancient forests and flower-filled pastures. They specialize in small group guided hiking tours that are flexible, offer something for everyone regardless of fitness level, provide the best accommodation the area can offer, tell you the history of the area, introduce you to the local food, and guarantee the time of your life. We all dream of flying like eagles. 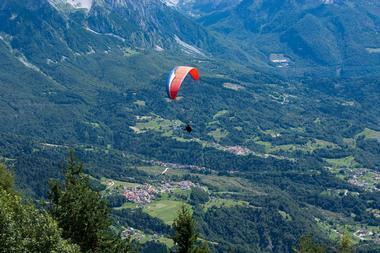 Imagine that during your visit to the majestic Dolomites, you join an experienced paraglider in the flight of your life. High up in the thin mountain air over the ancient forests of Ciampinoi, Mont, de Sëura, Col Rodella, or the Swiss Alps, you will fly over snow-covered mountaintops, flower-covered valleys, and fast-flowing mountain rivers. 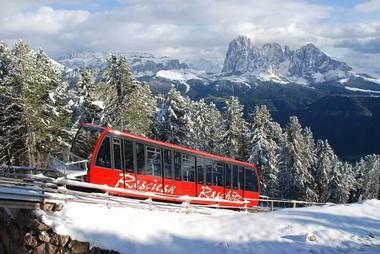 What a way to see the Dolomites, Val Gardena, and other lovely villages, ski slopes, and forests. No need for any experience – your tandem paraglider (an experienced pilot you will be attached to) takes care of everything. There are no age or weight restrictions – even four-year-old children can do it. Dress warm, have comfortable boots on, and get ready for a takeoff. Until 2010, a trip from Ortisei at 1345 meters to Mount Rasciesa at 2163 meters in the old funicular was long and dangerous, and passengers had to suffer cold in winter and risk storms in summer. With the new modern funicular Resciesa, the trip takes only eight minutes, and travelers enjoy comfortable ride and spectacular views of forest-covered Resciesa Mountain. The funicular has two cabins and can carry up to 180 people. The funicular stops at the top of the mountain in the national park Puez-Geisler, a UNESCO Natural World Heritage Site where visitors can enjoy dining in a mountain restaurant on a terrace overlooking the park. Exploring Dolomiti can be a wonderful, adrenaline-filled adventure, or it can be a dangerous trip that will put your life at risk. A good, professional and experienced guide can make the difference between the two. Enrico Maioni grew up in Dolomiti and has walked the trails, climbed its slopes, and explored its valleys since he was a child. He knows mountains so well he can show you parts that visitors rarely see. Since he is an experienced and certified climber, he will also make sure that you will enjoy the adventure in safety. He will teach you not only about safe climbing but also about the plants and animals you will encounter and the history of this fascinating area. 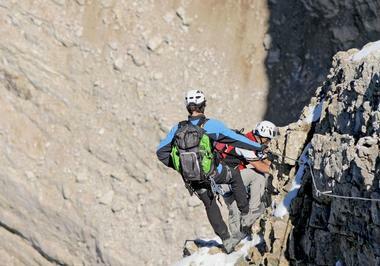 In addition, Enrico has compiled in-depth information about Dolomiti on his website. Visitors should check out the site before coming to better prepare for the adventure of a lifetime. The Marmolada is a famous mountain in northeastern Italy, and it is the highest mountain range of the Dolomites. It stretches between the provinces Trentino and Veneto and is located about 100 kilometers to the north-northwest of Venice. Marmolada is made of a west-east ridge that on the south turns into sheer cliffs, forming a rock face a few kilometers long. The north side is home to the only large glacier in the Dolomites. The ridge has several summits that range from Punta Penia at 3,343 meters to Pizzo Serauta at 3,035 meters. There is an aerial tramway or funicular that goes to the top of Punta Rocca. 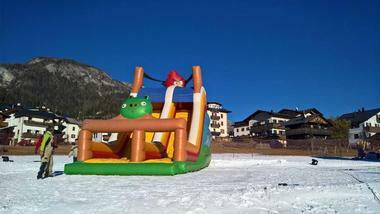 During the ski season, Marmolada is popular among skiers and snowboarders who can ski all the way down into the valley. 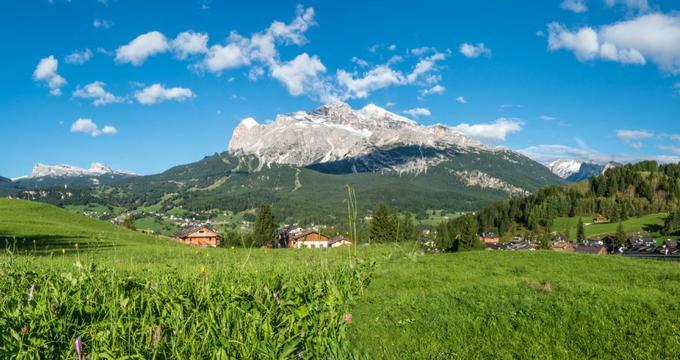 Marmolada has been declared a UNESCO World Heritage Site. Monte Faverghera is a mountain slope in Dolomites that peaks at 1,611 m. It is best known for the world class Giardino Botanico delle Alpi Orientali or Botanic Garden of the Oriental Alps. 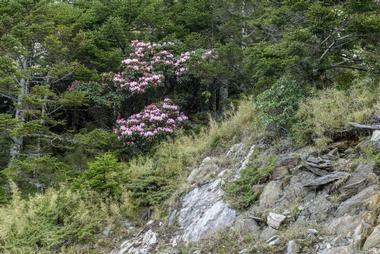 It is one of the most important Alpine botanic gardens in the entire Alpine range. The garden, created in 1969, occupies a quarry close to the top of a mountain. Spread over an area of only about 6.25 hectares, the garden contains an incredible number of plant species thriving in its diverse topography. The garden is located within a 606-hectare nature reserve and is incredibly beautiful any time of the year. To better enjoy the blooms of its many wild and introduced plants, visit Monte Faverghera from late June up to the end of July. The only way to get to the garden is on foot, making it completely pristine and pollution-free. The Museo dell’Occhiale or Eyeglasses Museum in Pieve de Cadore contains more than 4,000 exhibits that tell the story and history of eyeglasses, from the time they were invented to modern days. There are many exceptional and unique pieces as well as precious documents about the history of the technique and the art of making glasses. There are glasses of all kinds, from pince-nez, spectacle cases, lorgnettes, fans with glasses, hidden lorgnettes, spyglasses, binoculars, walking sticks with glasses inserted in the handle, monocles, and many other fascinating and curious objects linked to eyeglasses. The museum also has a small library with books dating as far back as the 17th century, along with many modern publications on the history and development of eyeglasses and student graduate thesis on eyeglasses. At three thousand meters, on the highest peak in the Dolomites, The Museum of the Great War in Marmolada was designed to commemorate World War I and the soldiers who fought in it. The museum is organized ina series of topics, with separate galleries describing different aspects of the war. The Bridge at the entrance is designed like a bridge across a crevasse in the glacier. The Before the War Gallery describes the lives of people in the area before the fighting began. 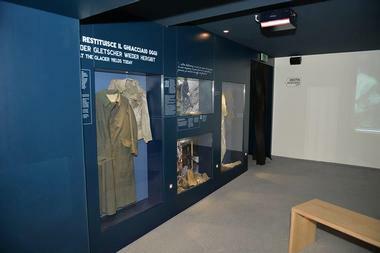 Wardrobes feature equipment and uniforms of soldiers who fought on both sides. 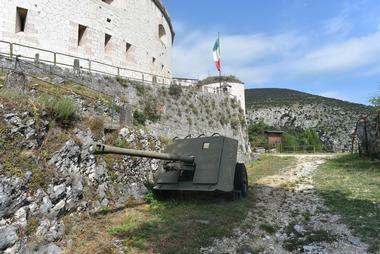 One of the main exhibits entitled Tunnel of Life describes warfare carried out in high altitudes. The Arms Exhibit showcases arms used during the war. There are also galleries that commemorate more famous personalities as well as a collection of documents related to the war, each describing the difficult times of the people in the area and the soldiers who fought. 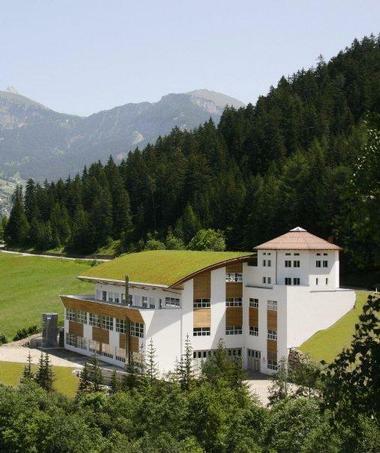 Vittorino Cazzetta Museum is a natural history museum established in 1982 in Selva di Cadore. It is named for its founder and collector of its exhibits Vittorino Main Cazzetta. The museum’s exhibits are separated into thematic sections such as collections of minerals, fossils, and other artifacts of historical and archaeological interest Cazzetta collected in Fiorentina Valley and surrounding areas. The two most important exhibits are the great chunk of dolomite from a Mount Pelmetto boulder that has dinosaur footprints and the burial chamber containing the Mondeval Man, an 8000-year-old skeleton of a Mesolitic hunter. 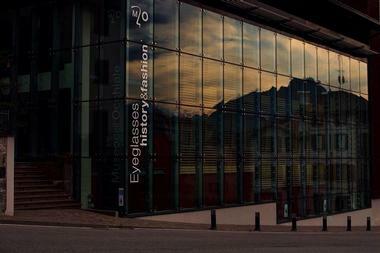 The museum has a large bookshop, multimedia exhibition hall, and a conference room. Nevelandia is a kids’ playground in Piancavallo in the Collalto district located next to the famous Piancavallo Nordic skiing area. This huge snow-covered playground spread over 25,000 square meters is designed to gradually introduce kids to the snow and skiing world and to let kids have as much fun in the snow as possible while under supervision. Nevelandia has three moving walkways, a skiing area, a sleigh and bobsled slope, and an area for snow tubing. There are three inflatable slides, many games, and animations. There is a separate area for smallest kids with cow mobiles and inflatable toys. On weekends the park mascot Merry Elf comes to play with kids. Ovovia di Ortisei is the new modern cable railway that connects the Alpe di Siusi, a magnificent 2000-meter high alpine pasture, and Ortisei, the largest village in the Gardena Valley. The cable car takes only eight minutes to reach the largest mountain plateau in Europe with fields of wild flowers in the summer and glittering snow in the winter. 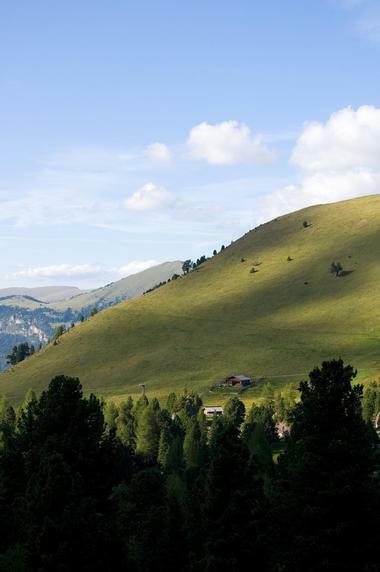 The views are breathtaking, and visitors can see Sciliar, Gruppo del Sella, and other mountain ranges. Many lovely hiking trails start at the last cable car station at the top of Alpe di Suisi. In the winter, many ski lifts continue from the cable car station to the ski slopes in the surrounding mountains. The Sella Pass or Passo Sella at 2244 meters is a mountain pass between the Trentino and South Tyrol provinces in Italy. Sella links Val Gardena and Canazei villages and is one of the passes around Sella group that form a linked ski trail called Sella Ronda. During the summer, the pass is popular with bikers, and it is one of seven passes in the Dolomites that bikers have to pass through during the annual Maratona dles Dolomites and the Dolomites Gold Cup Race. 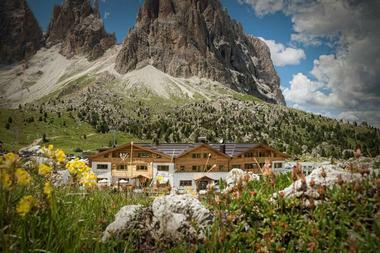 There is also a luxury mountain resort called Passo Sella Dolomiti, the only hotel in Dolomiti at 2000 meters. 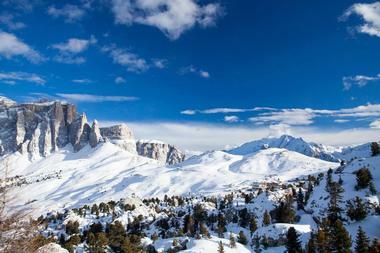 Visitors and skiers enjoy spectacular views of the Langkofel and the Sella range, gourmet food, a spa, and much more. 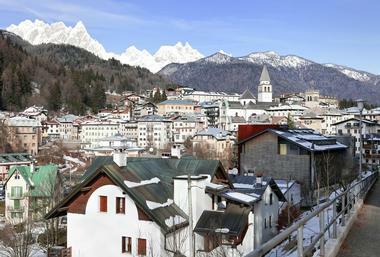 Pieve di Cadore is a medieval town in the Belluno region in the Veneto province about 68 miles from Venice. Pieve di Cadore has historically been the administrative center of the region and is known as the birthplace of the famous Italian painter Titian. The town has remnants of fortification, and at it was called the “walled city of Veneto.” The walls were necessary to protect the town because of its precarious location. It was dismantled by Napoleon’s troops. The most striking architectural feature of the town is the Palazzo della Magnifica Comunità or the Palace of the Magnificent Community completed in 1447. There is lovely hiking path leading to the nearby park called Roccolo on the Monte Rocco Hill, which offers great view of the town and small lake. 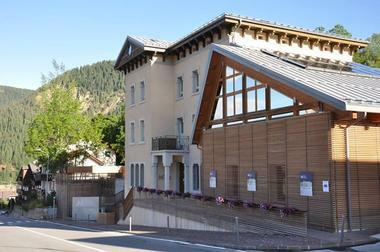 Open since 1982, the Rafting Center Val di Sole is the oldest rafting and canoe center in Trentino. 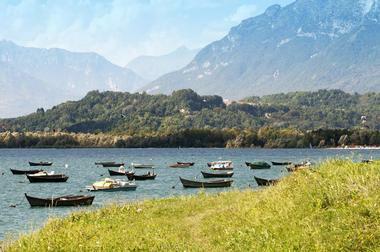 It is located at the Dolomiti Camping Village surrounded by the majestic peaks of the Brenta Mountains. 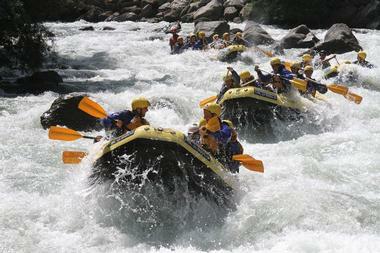 The main activities they offer are trips down the Noce River in kayaks, canoes, rafts, and hydrospeed. When you get tired of going down the river, they will take you mountain biking, Nordic walking, and canyoning. The center offers weeklong courses on kayaking, rafting, and hydrospeed or riverboarding. The center is known for taking excellent care of its guests and ensuring their safety. Fun is great but when engaging in extreme sports, safety comes first. The Tre Cime is an adventure park located in Auronzo di Cadore surrounded by three peaks of the Lavaredo Mountains in the magnificent Dolomiti. The park has six elevated routes between the trees, and there are specific routes designed for different ages. Five routes are positioned at different heights. Kids between three and five can try a game route that is perfectly safe. Other visitors can try other routes until they reach the most challenging one at 14 meters up in the forest canopy. There is a platform at 20 meters that everyone can reach, and it offers magnificent views of the Three Peaks of Lavaredo. There are forty-three platforms and viewpoints in the park. All visitors are briefed on the safety equipment and procedures and are assisted by highly qualified and trained staff. The "albergo Diffuso" or “scattered hotel” concept was developed in Friuli in the 80s in order to reconstruct whole villages previously destroyed by the earthquake. The village buildings, made of wood and stone, were completely restored in the local style of architecture and offered as tourist lodgings. Tourists can have a holiday that allows them to partake in mountain village life, socialize with local people, observe their customs and habits, and get involved as much or as little as they wish. Accommodation includes a fully equipped kitchen, heating system, fresh linens, and all other amenities hotels offer. 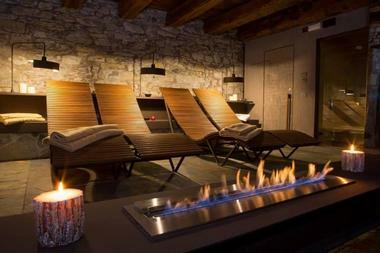 Sauris is one of forty such hotels in Italy. Located in the Carnia Mountains, it is located at 1000-1400 m above sea level and offers spectacular views. It is famous for the miraculous healings ascribed to the village shrine.